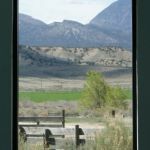 Ask fellow campers about "Sleeping Ute RV Park (formerly Ute Mountain Casino RV Park)" and nearby attractions. Sites are large enough that you don't feel cramped. Small grass area with a tree was nice. Tree overhung site and did cause us to reposition. Convenient location for visiting Four Corners and Mesa Verde. Our site was very unlevel, side to side. Small but clean dog park. We camped at Sleeping Ute RV Park (formerly Ute Mountain Casino RV Park) in a Fifth Wheel. Mesa Verde is well worth a day trip! Many sites have large trees and pulling in/out could result in branches rubbing against the rig. Our site by the office had few trees so we were okay. Sites are reasonably level. We barely fit in without unhooking 36' coach & crewcab pickup tow. Good for a nights stay. We camped at Sleeping Ute RV Park (formerly Ute Mountain Casino RV Park) in a Motorhome. We camped here four nights while visiting the area. The rates here are as good as you can find in SW Colorado. Because of the nature of the location there is a lot of wind and dust. The camp ground area grass is watered to maintain the grass and trees. But the surrounding land is bare and dusty (Its a desert). Convenient to Mesa Verde, Four Corners. We camped at Sleeping Ute RV Park (formerly Ute Mountain Casino RV Park) in a Motorhome. Most sites have shade trees, so may interfere with TV reception (cable was out), but in June I needed shade more. Oddly, the park offers weekly, bi-weekly and monthly rates. It also has and indoor pool. Park was quiet. It's about 10 miles south of Cortez, so is an option for tourists traveling the area. Only about 25 miles from Mesa Verde. We camped at Sleeping Ute RV Park (formerly Ute Mountain Casino RV Park) in a Motorhome. It's at the Casino, so if you like that it's handy. The restaurant food was decent and prices were reasonable. Clean, quiet RV park good for an overnight stop on the way from the Moab UT area to Monument Valley and points SW. Clean restrooms, full hookups, the usual discounts, and some decent views of the surrounding cliffs and Sleeping Ute Mountain. The casino looks nice from the hotel lobby and there is a sit-down restaurant there which we didn't try. Sites are a bit short and close together, not a problem for us but with a large MH or 5th wheel folks had to park their toads/tow vehicles sideways into the lanes. We camped at Sleeping Ute RV Park (formerly Ute Mountain Casino RV Park) in a Travel Trailer. Nice park with trees. Sites could be longer - we had a 35ft 5th wheel and stayed hooked up but just barely. Also had an end site, 71, with grass. Either maintenance is lacking or they just had a big wind storm - which could have happened - but there were leaves and branches all over the park. No doggie bags in the bag station and nasty thorns on the way to the dog park. Wi-Fi was ok but not great. Friendly staff and good security. Very quiet - out of Cortez by 11 miles. The big plus is the restaurant at the casino. Very reasonable and the ribs were awesome!! We would stay here again. We camped at Sleeping Ute RV Park (formerly Ute Mountain Casino RV Park) in a Fifth Wheel. After finishing our 10 days of touring Utah's national parks, we decided to go back south into Colorado from Moab, UT rather than head east through Colorado on I-70 and risk snow and freezing temperatures in late October. It has been almost 10 years since we have been at this park. We were able to get a FHU, back in site. Because other reviews were a bit unclear as to the park's cable TV picture quality and number of channels, we asked for and were give a site that was satellite friendly. Most sites have trees but RVs can be positioned in some of the sites to get satellite reception. As others have mentioned, the Wi-Fi was, at best, unreliable. The enclosed pool had too strong a scent of chlorine for my tastes. The bathroom facilities were clean. I saw no recycling. We camped at Sleeping Ute RV Park (formerly Ute Mountain Casino RV Park) in a Motorhome. Nice older RV park. Very quiet. Lots of mature trees provided shade. Casino restaurant is decent and within easy walking distance. WiFi is terrible, but good by the RV office. Excellent Verizon signal. Very nice laundry room. Trash receptacle at each site was handy. We stayed 8 nights and enjoyed this beautiful area. We camped at Sleeping Ute RV Park (formerly Ute Mountain Casino RV Park) in a Fifth Wheel. Canyons of the Ancients...don't miss! An older, smaller casino rv park. Gravel pads are very narrow and long enough for our 43 foot rv, but leaving limited room for our jeep to park. Lots of trees and grass areas and we picked site 11 so had a huge side yard. Great place to overnight when passing through the area, but I wouldn't want to stay an extended period of time. Lots of trees overhanging the roads and sites which are in need of trimming. We camped at Sleeping Ute RV Park (formerly Ute Mountain Casino RV Park) in a Motorhome. Campground is located behind the casino. Easy to get to and easy to get around in. Utilities worked well the Wi-Fi was good. Many channel on cable but our signal was weak and some channels were snowy. Good cellular signal on our Verizon plan. Staff was friendly and helpful. Pool and sauna was very nice and clean. They also have a 1 foot kiddy pool. We have stayed here before and would stay here again if in the area. 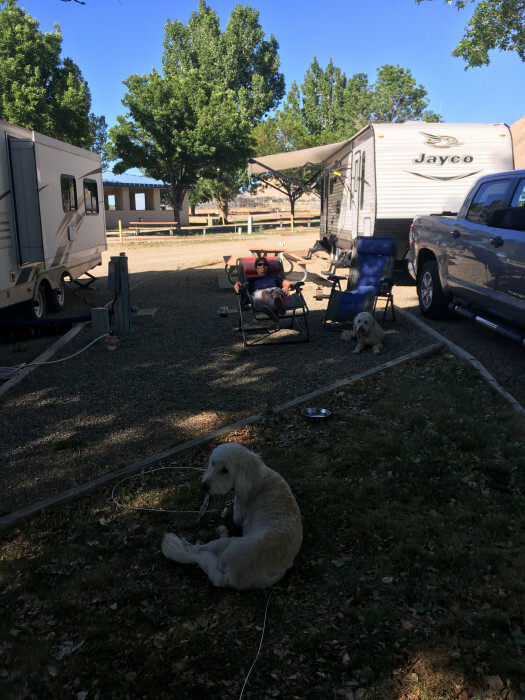 We camped at Sleeping Ute RV Park (formerly Ute Mountain Casino RV Park) in a Motorhome. This is a nice RV park. We had no trouble leveling. Water, electric & cable all worked well. Our AT&T wifi hotspot and phone worked well, too. There's a table and a trash can at each site. Trash is picked up daily. The indoor pool is only 3'6" deep, and the hot tub is only 1 foot deep and is just warm, not hot. There are four washers ($1.75) and four dryers (25¢ for 10 minutes, 50¢ for 25 minutes) in the laundry. The office, laundry, bathrooms and showers are all very clean. The people here are very nice and helpful. There are police patrols both day and night, so you feel safe (although I didn't see any sign of trouble throughout our stay). There's a nice playground for the kids and a dog park. The casino is within walking distance, and the restaurants there have specials throughout the week. If we're ever in this area again, we will definitely stay here. We camped at Sleeping Ute RV Park (formerly Ute Mountain Casino RV Park) in a Motorhome. Stayed here for two weeks due to the very hot weather in the area. It appears the casino gets precedence over the RV park, as the Wi-Fi is sketchy at best. Other than that I would add most RV spots are unlevel and you may need extra blocking for one end of RV. Water pressure fluctuates throughout the day. 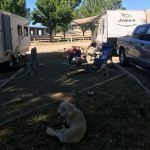 The RV park is not far from Cortez, around 10 miles, where shopping is available for most things you need.The casino has a travel center with gas and diesel; the prices are competitive. All in all ,I would stay here again if traveling through the area. We camped at Sleeping Ute RV Park (formerly Ute Mountain Casino RV Park) in a Fifth Wheel. We stayed here in a 33 ft. motorhome. Very nice comfortable park, easy RV access, very little traffic noise, easy walk to Casino. Most sites slope a bit so we couldn't get completely level, but it was okay. Swimming pool and hot tub were not open. We were charged a base rate of $38 minus our Good Sam discount, although the rate on the internet and posted outside the office door was $35. When we pointed that out, we were told simply that the rates went up but they hadn't gotten around to updating things. There was nothing the lady could do about it. I talked to another camper who said he was also charged $38 ten days prior. Not good. Other than that, it's a good park. We camped at Sleeping Ute RV Park (formerly Ute Mountain Casino RV Park) in a Motorhome. RV park is located behind the casino. Great views of mountains in two directions. Big trees at each site. Good full hookups including awesome cable TV. WiFi is okay. Lanes and sites are gravel with grass between each site. Sites long enough for big rigs. Very close to Cortez with shops and wonderful cafes. We camped at Sleeping Ute RV Park (formerly Ute Mountain Casino RV Park) in a Fifth Wheel. The Travel Center next door has truck fueling lanes. We filled up there after leaving the park. Visit Mesa Verde go to see Balcony House and Cliff Palace, just an amazing site. The casino was pretty much like other casinos but there was a decent-sized non-smoking area (bonus). Only one restaurant and one small café, but the restaurant was good: Waitstaff pleasant, Prime Rib Buffet on Saturday night a good value and good food. We used this RV park as a transient, in by dinner time out after breakfast. Did not venture into the Casino. Just behind the Ute Mtn. casino and about 20 miles away from Mesa Verde. Was planning to spend a couple of nights here, but cut it short when we found the casino to be dark, dingy and hot. Was not a nice place to gamble, so we saw the park then left after that. Mesa Verde National Park, Four Corners, Aztec Ruins National Monument, La Plata Mountains, Anasazi Heritage Center, Canyons of the Ancients, and Hovenweep National Monument are all within an hours drive! Close to Mesa Verda National Park. Ute Mountain Tribal Park offers guided tours to area not on National Park land. Close to Cortez, where there is a Walmart and many places to eat. The sites drain well even after heavy rain. Close to Mesa Verde National Park. Casino right there. $5 free play with stay. Nice town in Cortez. Good, cheap restaurant in casino ($1.99 breakfast). Are you affiliated with Sleeping Ute RV Park (formerly Ute Mountain Casino RV Park) ?